Given the number of different things I’m involved with, it would be easy think that I’m constantly working and have no free time, but that’s simply not the case. My fundamental belief about productivity and work is that I should work as little as possible while still giving my business my best attention so that I’m free to work on the tasks only I can do and so that I have the freedom to enjoy the lifestyle my business has allowed me. According to my RescueTime account, I spend no more than 45 hours working each week on the computer. I have ample time to play with my son, spend time with my wife, workout, read, relax, attend events and do other non-work-related things that I enjoy. I don’t think that I’m a super-human productivity machine, but I do use my time very wisely so that I can focus on the tasks that matter most in my business and enjoy my life outside of work. Work During Peak Productivity Times – We each have a daily measure of good brain energy to do complex mental tasks. For the first couple of hours each morning, I can tackle complex mental tasks reasonably well. After lunch, my productivity levels drop significantly, so I don’t bother trying to work when I know I wouldn’t get much done. I also know that I get a second wind around 8:00 PM at night, so I’ll often work for an hour or two then. I also often work an hour or two on Saturday’s and Sunday’s so that my good brain energy doesn’t go to waste on those days. Working on Your Business, Not in Your Business – Your role as the CEO of your company should be growing and improving your business, not running the day-to-day operations. If you’re stuck in the weeds of doing the work, you can’t focus on building a bigger and better business. As soon as you possibly can, you should bring on team members (employees or contractors) to help with the day-to-day execution of your business so that you can focus on its growth. This point is emphasized in Michael Gerber’s book, E-Myth Revisited. Automate and Delegate – If there’s an ongoing task that requires you to complete a specific set of instructions, you shouldn’t be doing it. If something has to be done more than once each month, I’ll create a standard operating procedure and have a team member take care of it. If it’s a recurring task that involves data, I’ll automate the task if at all possible. When you spend time working on recurring tasks that require little mental energy, you’re not focusing on growing your business and getting more customers. This is probably the biggest key to the margin that I have in my life. I don’t do recurring tasks and I automate or delegate just about anything that I possibly can. Have a Simple Business Model – All of the businesses that I’m involved in have relatively simple business models. There are no physical products. 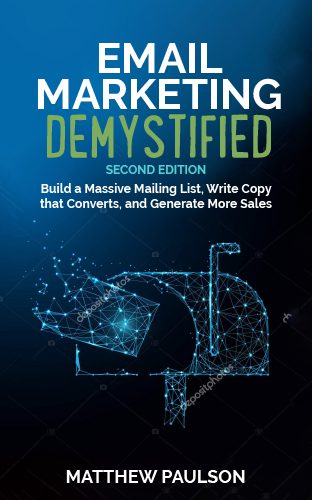 There are relatively few products that customers can buy and there’s typically only one sales funnel that involves getting people onto an email list, providing them value and selling them a product. By keeping your business simple, you can focus on improving the single path that enables someone to become a customer of your company without getting stressed out or distracted by side projects. Cut-out Garbage Entertainment – The average American watches five hours of televisions each day. I watch about 90 minutes of television per day, typically during low productivity times (during the afternoon and late at night), as a way to unwind. When I do watch television, I don’t watch commercials (if at all possible) and only watch shows that I specifically intend to watch (no channel surfing). I do however, read a lot of books and listen to many business podcasts. Keep Email at Bay – Email is a monster that will destroy your productivity if you let it interupt you throughout the day. I’ve turned off all email notifications on my phone and my laptop and check it as few as 3 or 4 times each day. The best way to work through email is in batches at set times each day (like before lunch, late in the afternoon and before bed). Here are my email productivity tips. Just Do The Work. I don’t procrastinate on anything. If there’s something that needs to get done, I’ll add it to the bottom of my to-do list and typically knock it out within 48 hours. I don’t use a lot of fancy productivity apps or “productivity hacks” to make myself more productive. I just put my head down and get to work on the task at hand. Do you have any tips to improve work productivity? Please share them in the comments below. I still can't believe Americans watch five hours of TV on average. Who has time for that?! Anyway, I like to build in breaks during my workday. I usually adhere to a 50-20-50 schedule. 50 minutes working, 20 minutes break (usually a walk), 50 minutes working. I do this 2-3 times a day, which usually lets me accomplish everything I need to. I also like to have my daily tasks ready to go by the night before. That way I don't have to waste time thinking about what I need to do when I start working in the morning. "I don’t procrastinate on anything"
I think that this (and several other) traits you mention are part of the key to success for being a successful entrepreneur. Excellent tips, Matt! I plan to implement a few right now — email batching and working on, not in, my business.